Techlicious and Chic CEO are partnering to bring you this fantastic giveaway! Enter by subscribing to the Techlicious Newsletter, filled with helpful advice from our tech experts, and Chic CEO, with easy to understand, easy to implement business knowledge to get you started to being your own boss. We have three Samsung Galaxy Tab E tablets to give away and you could win one of your own! 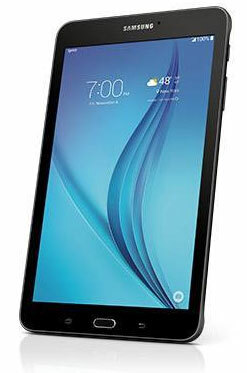 The Samsung Galaxy Tab E 8-inch tablet from Sprint ($299.99) is ready to go with you from home to work and everywhere in between. Connect via Wi-Fi or through Sprint's 4G LTE network (data plan not included). We will randomly select three(3) winners from the entries. No purchase is necessary to win. Total ARV $299.99. The giveaway will end at 11:59pm on December 24, 2016. Void where prohibited. U.S. residents 18+ only. Click here for the full rules.